Quince. The fruit and tree of one of the pome class, known as Cydonia oblonga (or sometimes as Pyrus Cydonia). Few fruits play a more important part in ancient history than the quince, and yet there is hardly a fruit with equal or even poorer merit that in recent years has not received more attention. Scarcely a book is written on the quince and even practical mention of its merits, its culture, or its value is seldom made in the experiment station literature of America. Perhaps this is due to the fact that the fruit can hardly be considered in the dessert class except when cooked; and yet it is said that in Persia and the near East it grows to such perfection that some varieties are esteemed when eaten raw. The place of the quince in America seems to be a secondary one, to make marmalade, to preserve, to make jellies, and for flavoring purposes. The place of the tree among other fruits seems to be secondary also. It is seen most frequently in back yards and fence-corners and often in the lowest and dampest fruit land on the farm. In a few cases, when its merits are recognized, it is given drier richer ground and cultivatedwith judicious care. Naturally, the quince is adapted to deep rich warm soils. The fertility of the soil should be strongly emphasized, as the root, instead of penetrating deeply, spreads out extensively and consequently is near the surface. It is slow-growing on any soil but responds very quickly to good fertility. On cold damp soils the fruit is inclined to be woody and it may possibly be for this reason that the quince is not more popular for preserving purposes. On the richer drier soils the quality is much improved. The idea is very prevalent that the tree is adapted to low ground. The lower grounds, generally speaking, are richer, but in this respect only may the trees be said to be adapted to it. Excessive moisture is harmful to the quince as to other fruits. Cultivation must be judicious. In many respects it should resemble that given the dwarf pear. The roots being near the surface, cultivation and especially plowing must be shallow. It is common practice to ridge well up to the trees not only to protect the roots but to permit easy drainage; also the tree being very subject to fire blight, it does not permit of thorough cultivation with the consequent succulent wood-growth. Moderate cultivation in spring and early summer followed at once by a cover-crop or a good sod-mulch is considered good practice. Pruning should receive careful attention, otherwise the quince tree will soon become too thick and also more or less unshapely. When set in orchard, the young tree may be pruned to a short whip, as shown in Fig. 3327. The trunk is kept very short; some growers prefer to start the top as low as shown in Fig. 3328, but the former and probably still the prevailing practice is to grow a trunk like those seen in Fig. 3329. These longer trunks are convenient if one is to use the curculio catcher, as shown in Fig. 3330. The pruning consists in keeping the top open and well spread (Fig. 3328). To cause the top to spread and to keep it low and within bounds, more or less heading-in may be practised; but as the fruit-shoots spring from the ends of the branches, clipping-in of all the tree would remove practically all the fruit. The questions of cultivation and fertilizers are largely inter-related. Thorough tillage makes available a large amount of plant-food, and consequently less fertilizer is necessary. However, too thorough cultivation and consequent succulent growth increases blight. The question of fertilizers comes down to one of producing moderate growth of a hardy resistant nature. This means that in cultivated orchards, heavy applications of nitrates or nitrogenous manures must be withheld. Phosphate and potash on the other hand can be applied in quantity, especially on the lighter soils. The cover-crops will probably supply the necessary nitrogen. If growth is very slow, a light application of farmyard manure may be made. Lime and land-plaster can also be applied in quantity. The fruit is sold in eleven-quart baskets, bushels, and barrels, and ranges from 75 cents to $1.25 a bushel, depending on the market and the demand. In Ontario the demand is very limited and there are scarcely any orchards on a commercial basis. In the eastern states and especially New York State, there are some orchards of considerable size (Fig. 3329). The fruit, though apparently hard and long-keeping, is comparatively easily bruised or marked and must be handled with care. The trees begin to bear a few fruits the second and third years after planting but can not generally be said to bear a profitable crop until ten to twelve years of age. The fruit is very subject to limb-rub and disease, and must be carefully grown to look well. The ordinary practice is to spray the tree with dormant-strength lime-sulfur at the same time that the apples and peaches are sprayed and then again just after the fruit is nicely set with bordeaux mixture, to each forty gallons of which has been added three pounds of lead arsenate. Summer-strength lime-sulfur with the above amount of poison would give the same results for the summer spray. Judicious pruning also tends to thin the fruit and improve the quality. Seedling stocks— Quince of Angers—are largely imported from Europe for roots. These roots are used also for dwarfing the pear. The trees are grown much the same as other nursery trees. The seedlings are set in the nursery row in early sprmg and budded in August. By a year from the following spring, that is two years from the setting of the seedling, the trees are ready for the planter. The quince can also be propagated by cuttings, mound-layering and root-grafting, but the above-named method is the common one in practice. Trees received from the nursery should be given the same care as other nursery trees. Heel them in carefully if the soil is not ready for planting. Plant about 2 inches deeper than the bud. Head at 15 to 20 inches. If budded trees are used and planted the proper depth, there is little or no danger from suckering. The most damaging diseases are fire-blight, affecting the wood and especially the new growth; leaf-blight, affecting branches, fruit and foliage; and black-rot and bitter-rot, affecting the fruit. For the fire-blight, the worst disease, there is no direct remedy, but trees should not be allowed to over-grow, wild hawthorns and wild apples and pears near the plantation should be destroyed, and all affected parts should be removed promptly. The most serious insect attacking the quince is the quince curculio (Conotrachelus crataegi). This may be controlled by spraying with six to eight pounds of lead arsenate to one hundred gallons of water, or in the place of water bordeaux mixture at the proper season. This must be done when the beetles first make their appearance and again about ten days later. This insect is found on the quince in Ontario. The same insects as attack the apple generally attack the quince and the treatments are similar. Sometimes the jarring method is employed, as shown in Fig. 3330, as for the plum, the beetles being knocked off by hitting the tree with a padded mallet. Orange (Fig. 3325) and Champion are the leading varieties of quince. The former is the variety most largely grown in Ontario and previous to 1870 was the only variety. It is large in size, skin golden yellow with greenish or russet color around stem. The flesh is tender and the flavor good. The season is late September and October. Its origin was southern Europe. The latter variety, of American origin, is large, pear-shaped and on the tree has a distinctly greenish yellow color. The tree is larger and taller-growing than Orange. The fruit is very late ripening. Other commonly grown varieties are Bentley, Fuller, Rea, Meech, and Van Deman. F. M. Clement. The Quince (Cydonia oblonga) is the sole member of the genus Cydonia and native to warm-temperate southwest Asia in the Caucasus region. It is a small deciduous tree, growing 5-8 m tall and 4-6 m wide, related to apples and pears, and like them has a pome fruit, which is bright golden yellow when mature, pear-shaped, 7-12 cm long and 6-9 cm broad. The immature fruit is green, with dense grey-white pubescence which mostly (but not all) rubs off before maturity in late autumn when the fruit changes colour to yellow with hard flesh that is strongly perfumed. The leaves are alternately arranged, simple, 6-11 cm long, with an entire margin and densely pubescent with fine white hairs. The flowers, produced in spring after the leaves, are white or pink, 5 cm across, with five petals. The fruit was known to the Akkadians, who called it supurgillu ; Arabic سفرجل safarjal = "quinces" (collective plural). The modern name originated in the 14th century as a plural of quoyn, via Old French cooin from Latin cotoneum malum / cydonium malum, ultimately from Greek kydonion malon "Kydonian apple" (in the figurative sense, similar to pomodoro - Italian word for tomato literally meaning "apple of gold", pomme de terre - the French word for potato, literally meaning "apple of the ground", and the classical "golden apple"). The quince tree is native to Iran, Armenia, Turkey, Albania, Macedonia, Greece, and Bulgaria, but the Greeks grafted from a superior strain from ancient Kydonia, now Khania, a port in Crete, whence both the common and better-preserved genus name. The Lydian name for the fruit was kodu. Cultivation of quince may have preceded apple culture, and many references translated to "apple", such as the fruit in Song of Solomon, may have been to a quince. Among the ancient Greeks, the quince was a ritual offering at weddings, for it had come from the Levant with Aphrodite and remained sacred to her. Plutarch reports that a Greek bride would nibble a quince to perfume her kiss before entering the bridal chamber, "in order that the first greeting may not be disagreeable nor unpleasant" (Roman Questions 3.65). It was a quince that Paris awarded Aphrodite. It was for a golden quince that Atalanta paused in her race. The Romans also used quinces; the Roman cookbook of Apicius gives recipes for stewing quince with honey, and even combining them, unexpectedly for us, with leeks. Pliny the Elder mentioned the one variety, Mulvian quince, that could be eaten raw. Columella mentioned three, one of which, the "golden apple" that may have been the paradisal fruit in the Garden of the Hesperides, has donated its name in Italian to the tomato, pomodoro. This interesting fruit can also be eaten cooked or raw. They are a good source of vitamin c.
Most varieties of quince are too hard, astringent and sour to eat raw unless 'bletted' (softened by frost). They are used to make jam, jelly and quince pudding, or they may be peeled, then roasted, baked or stewed. The fruit turns to reddish orange color once it has cooked. The very strong perfume means they can be added in small quantities to apple pies and jam to enhance the flavour. Adding a diced quince to applesauce will enhance the taste of the applesauce with the chunks of firmer tarter quince. The term "marmalade", originally meaning a quince jam, derives from the Portuguese word for this fruit marmelo. The fruit, like so many others, can be used to make a type of wine. In Spain, the quince or "membrillo" as it is called, is cooked into a firm reddish paste and is eaten with manchego cheese. The sweet and floral notes of carne de membrillo (quince meat) contrast nicely with the tanginess of the cheese. Quince juice from organic farming is available in Germany and its pleasant taste mixes well with other fruit juices. This is where the saying "A quince for you, a quince for me, quinces we shall eat," comes from. In Lebanon, it is called "Sfarjel" and also used to make jam. In Iran quince is called (Beh)and is used raw or in stews and jam. Also seeds are used as a remedy for pneumonia and lung disease. Elsewhere in Europe, quinces are commonly grown in central and southern areas where the summers are sufficiently hot for the fruit to fully ripen. They are not grown in large amounts; typically one or two quince trees are grown in a mixed orchard with several apples and other fruit trees. Charlemagne directed that quinces be planted in well-stocked orchards. 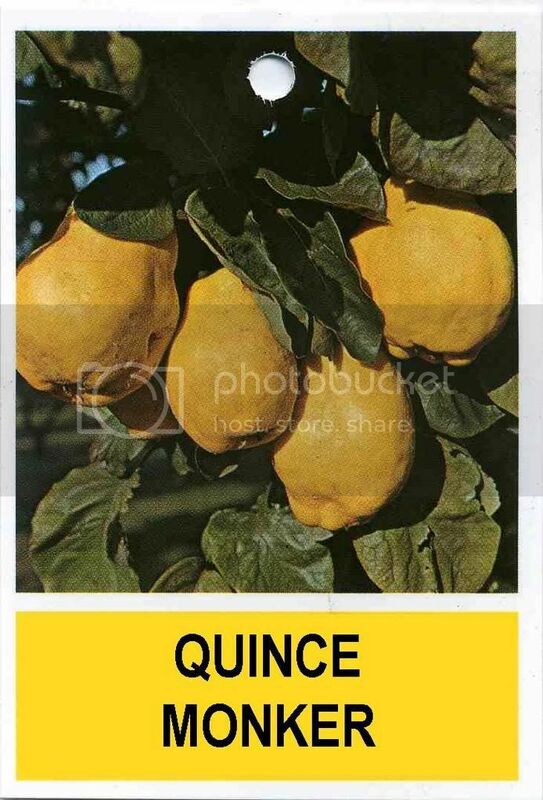 Quinces are mentioned for the first time in an English text in the later 13th century, though cultivation in England is not very successful due to inadequate summer heat to ripen the fruit fully. They were also introduced to the New World, but have become rare in North America due to their susceptibility to fireblight disease caused by the bacterium Erwinia amylovora. They are still widely grown in Argentina, Chile and Uruguay. Almost all of the quinces in North American specialty markets come from Argentina. A variety of quince, which is grown in the Middle East, does not require cooking and is often eaten raw. In Malta, a jam is made from the fruit (gamm ta' l-isfargel). According to local tradition, a tea-spoon of the jam dissolved in a cup of boiling water relieves intestinal discomfort. The quince, used as a rootstock for grafted plants, has the property of dwarfing the growth of pears, of forcing them to produce more precociously, and relatively more fruit-bearing branches, instead of vegetative growth, and of accelerating the maturity of the fruit. In parts of Afghanistan, the quince seeds are collected and boiled and then ingested to combat pneumonia. In Chile the quince or "membrillo" as it is called, is cooked into a reddish jello-like block (dulce membrillo), or firm reddish paste. It is then eaten in sandwiches. Boiled quince is also popular in desserts such as the Murta con membrillo that combines Ugni molinae with quince. The film El Sol del Membrillo (Quince Tree of the Sun; Dream of Light) directed by Víctor Erice in 1992 is a documentary about a painter, Antonio López García, who spends September through December painting a quince tree in his garden. In an episode The Simpsons, "Who Shot Mr. Burns, Part 1", Mr. Burns and Waylon Smithers end up eating an entire box of chocolates in one sitting, leaving behind and discarding only one piece: the sour quince log. In Edward Lear's famous poem "The Owl and the Pussycat" the protagonists "dined on mince and slices of quince, Which they ate with a runcible spoon". In the movie White Men Can't Jump, Rosie Perez's character Gloria Clemente was on Jeopardy!, and "quince" was the response to "Adam and Eve dined on this forbidden fruit". In the play Cataplana, an aging antagonist named Ari attacks his partner, Linda, over her claim that he had a pear tree on his property—when in fact it was a quince. Paul Muldoon's poem, "Lunch with Pancho Villa" contains the line, "The quince tree I forgot to mention,"
In the book, Ten Thousand Sorrows, by Elizabeth Kim, on page 5 line 7 Quince tea is drunk alongside a meal. In the musical Pippin, Catherine makes Pippin a quince pudding flambé. It is this extension of domesticity that is the final impetus for Pippin to leave her. In Plutarch's Lives, Solon is said to have decreed that "bride and bridegroom shall be shut into a chamber, and eat a quince together." This page was last modified on 12 December 2009, at 11:15.